Sleep is a fundamental biological need. Humans spend more than one-fourth of their life asleep, suggesting that this organismic state is of superior adaptive significance. In fact, total loss of sleep for a period of several weeks is lethal. Also, less extended periods of sleep deprivation maybe damaging, and are popularly believed to lead to increased vulnerability to infection. It is a common claim, for example, that one caught a cold because of too little sleep the days before. As common as this belief, on the other hand, is the opinion that sleep helps healing and promotes the recovery from infectious disease. This view is further strengthened by the fact that fatigue and the desire for sleep is often distinctly increased during infectious diseases. Thus, a bidirectional interaction between the process of sleep and immune function seems evident. Such an interaction was recognized by scientists much earlier in this century (e.g., von Economo, 1930). However, only in the last 25 years have more thorough and extensive research efforts been made to outline some of the essential features of this interaction in animals and humans. 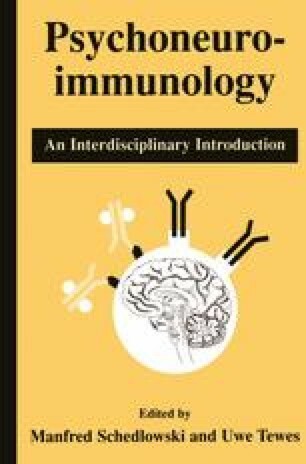 The two key questions were (1) whether immune processes alter sleep and (2) whether sleep influences immune competence. Also, how such influences are transferred was the aim of these investigations (Fig. 1).